Sometimes I just don’t have the time to go to the professionals. Now don’t get me wrong. There is nothing like treating myself to a professional beauty spa day or a Saturday appointment at the nail salon. I’m a firm believer that every woman splurge on their selfcare a few times a year, if they’re not a regular. I don’t know what it is, but I always leave feeling so refreshed and relaxed. However, being the busy curvy goddess that I am, time is of the essence. Most times, the thought of sitting in a nail or hair salon just isn’t feasible. Although, I treat myself to a spa day or a nail salon appointment from time to time. It’s just easier if I do it myself. Luckily, I’ve learned to do it myself. Not to brag, but it’s turns out looking pretty good and the best part of it all is it saves me time and money. You should never feel guilty about indulging for a fee hours. If you don’t pamper yourself, who will? 1 Start with a dedicated day. Yes, I make an appointment with myself. I have a set a day of the week in which I dedicate to selfcare and a day during the week I spend a few minutes touching up, if need be. Since my self-care day is Saturday evenings, I typically use that day to take care of my hands, feet, apply a facial masque, style my hair, and handle all of my home beauty care. Of course, you should set the day that works best for your schedule. Having a set day, makes it easier to always maintain and you’ll always feel good about yourself doing this. 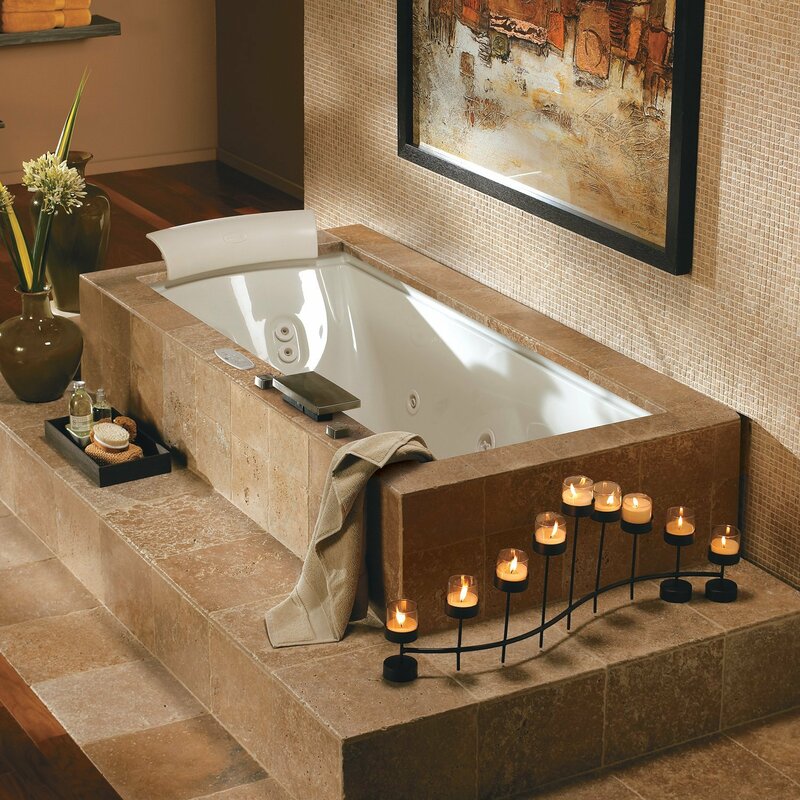 Don’t forget to set the mood, with a glass of wine, a favorite snack, relaxing music, or a good movie. You may enjoy setting a spa mood, by adding candles. It’s better to file your nails to shape them, but sometimes it’s necessary to cut them to equal lengths. Use a nail clipper instead of scissors. The best nail remover are the ones that don’t contain acetone. Acetone can be very aggressive. It can ruin your clothes and many people are allergic to it. Invest in a good, long-lasting file. The best ones are made of cardboard. Choose a size that you like and keep it. Also, there are some files that are stronger on one side than on the other. These are the ideal kind because that way you only have to buy one. Cuticle oil is the best. It makes gives you a flawless professional finish. These oils really soften and moisturize the cuticle. If you are not very good at cutting your cuticles, you can skip this step by using this product. Choose the colors you like and that coordinate with the image you want to project. For example, if you have a special dinner, paint your nails in a wine red. It looks very nice, especially if your nails aren’t too long. Or, for example, if you have a business lunch, paint your fingernails a porcelain tone. It’s very elegant and discrete. If you feel like adding a touch of color and fun, paint your nails in a dark pink. Why not? The stores also offer a variety of designs to really show your personality. Invest in a good moisturizer that suits your needs. For example, if your hands crack, suffer from dry feet, or have dark spots…buy what you need. · Usually files have one side to file the nail and another to give it shine. If it’s not the case with yours, obtain a nail buffer and polisher. These smooth out your nails if they’re peeling. You need to choose something that works well with you. If your nails are always breaking, you need a nail hardener, of if they’re dry, you need a moisturizing treatment. Usually any pharmacy will have an entire treatment range at very accessible prices. This nail polish also serves as a transparent nail polish when you don’t feel like painting them. You can use a body exfoliating lotion or else you can make a natural one with sugar and olive oil. Try it—it’s absolutely amazing! This is one of my most ancient tips. I don’t remember where I read it or from whom I learned it, but the truth is that I use it every week and I love it! All you need are two teaspoons of white sugar and four tablespoons of virgin olive oil (if you prefer, you can use moisturizing body oil, but olive oil has worked well for me. Mix together well and apply to your hands and feet, rubbing them gently. Don’t forget the fingers, toes, and the nails. You can also use this exfoliating lotion on your forearms and elbows; then rinse yourself with lukewarm water. Your hands will feel soft and like new! 3 Start with a clean canvas. Remove all nail polish from your nails and toes. Take cotton balls as many as you need, soak each finger with nail polish remover, so that your fingernails’ true color start appearing. Repeat this process with your toes. To remove cuticle, soak your feet and nails in warm water. Soak your nails for about 3 minutes and feet for about 15 -20 minutes. Next, use cartilage remover to push the cuticle down. When complete, dry your feet and hands with the towel. This gives you a clean canvas and removes any dirt on your hands and feet. 5. Trim your nails equally to the desire length. To reshape or shorten nails/toenails, simply use nail clippers. Soaking your feet in warm water before trimming will soften them if you have hard nails. However, if you have soft nails, do not trim after bathing or washing, because in doing so you may cause damage, which sometime may lead to infection. Do not cut too short toenails, because doing so increase the chances of developing ingrown toenails. 6. File your nails and use the buffer to leave them smooth. 7. Use the orange stick to eliminate any leftover dirt and to softly remove the cuticles (I don’t recommend cutting the cuticles at home, as I think this is very difficult and a job best left to professionals. I know that some of you do this. 8. Exfoliate your hands. Follow the advice we gave you previously. You’ll see the result immediately. Now use sugar wash to massage your feet, legs, arms and feet. Rinse your hands first and then use pumice stone to rub away callus and other rough surfaces on the bottom of your feet. Now, rinse the scrub of your feet and legs. Now, use moisturizer or some other soothing cream for your hands and feet that may heal a cracked and roughdry skin. 9. Dry your hands well. This step is very important. If you’ve exfoliated your hands with olive oil and you don’t dry your hands off well, especially the nails, the nail polish will not last long. Remove excess moisturizer using polish remover. Remember to dry yourself carefully. Use foam toe separators to fingers, while polishing. Follow this order: treatment foundation, colored nail polish, another coat of colored nail polish, and protective/strengthening nail polish. Polish your nails and dry them between coats, preferably minimum of four coats. If you have weak or brittle nails, place one or two coats of ridge filling nail polish on the nail as base coat to shore up the nail. Two coats of a colored nail polish are next, followed by a topcoat to add luster. 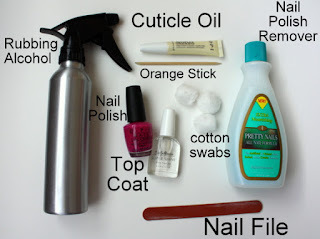 I know, it’s a lot of coats, but remember you want your nails to look perfect all week long. 1 Relax and allow the polish to dry on your feet and nails, for at least 30 to an hour (yes, one hour—if not, all the effort will be immediately ruined when you apply the moisturizer). There are tools and sprays you may want to invest in to speed up the drying process. Otherwise, watch a movie, TV or listen to music. Take some time to relax, and take advantage of it while the polish dries. 1 Once you’re dry and ready to go, moisturize your hands carefully. You should feel like new! Paint your fingernails while you watch a movie, TV, listen to music, or read a magazine. Take some time to relax, and take advantage of it while the polish dries. Once a month, cover your hands and feet in a moisturizing face masque and put on some cotton gloves and socks. Sleep in them, and the next day your hands will feel like new. Do this manicure every week, two weeks, or two months. It’s a pleasant luxury, and that way your hands and feet will need much less care, especially the cuticles. Whenever a cuticle acts up, apply oil on it. You will see how upon moisturizing it, it will immediately soften and won’t bother you. Remember: Our hands are an important part of our personal image. Don’t neglect them!